Isn’t the “Historic Church” Roman Catholic? The “headquarters” of the ancient Christian faith was in fact not Rome but in the Eastern world! The apostles founded the majority of Churches in the Eastern world (and only two in the West). It was from the East (not from Rome) that the apostles and Paul were sent out with the Gospel. 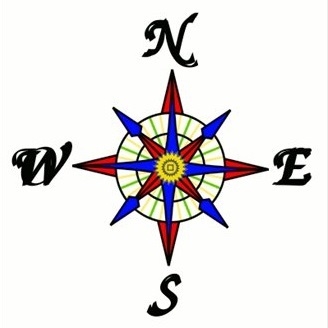 The West was not a center of the early Christian movement – it was the “mission field”! For over 1,000 years, with the exception of Rome, all the major centers of Christian belief were found in the East – in Jerusalem, Alexandria, Antioch and Constantinople. All the fundamental dogmas regarding the faith were formulated and defended in the East – essential dogmas like Christ being “of the same essence” with the Father; that Christ is fully God and fully human; that the Holy Spirit is a divine Person; and the nature of the Trinity. The first schools of Biblical interpretation, Antioch and Alexandria, were in the East. Their perspectives of interpretation still influence much of our understanding of the Scriptures today. The East was the site for all the Ecumenical Church Councils (that is, the first seven from 325 to 787 A.D.) which formulated doctrines which Christians of all orthodox traditions accept as normative. The overwhelming majority of the bishops present at those councils were Eastern as well. Do Orthodox Christians have a “Pope”? The Roman Catholic Church tragically broke from the Eastern churches in 1054 A.D. largely over the issue of the encroaching authority of the Roman Pope by the western church. The eastern churches consistently rejected this encroachment for 1,000 years of Christian history (and continue to today). The Orthodox Church does not have a single leader. It is organized into “jurisdictions” following national and historic lines, based on the early Church model of conciliar church leadership seen in the Book of Acts (Chapter 15). Each group is governed by synods (councils of bishops) who have equal authority and who do not interfere in one another’s affairs. The Patriarch of Constantinople is known as the “Ecumenical” (or universal) Patriarch, and since the schism has enjoyed a position of honor among the Orthodox communities. But, he does not have the right, for example, to interfere in the internal affairs of other churches. His position resembles that of the Archbishop of Canterbury in the worldwide Anglican Communion. What is Orthodox Christian hope based on? Our entire hope is Jesus Christ. As the Apostle Paul says: “…by the commandment of God our Savior, and the Lord Jesus Christ, our hope” (1 Tim. 1:1). We receive and will receive everything through him. Our Lord Himself teaches: “And whatever you ask in My name, that I will do, that the Father may be glorified in the Son”" (John 14:13) Our hope is based on the sovereign grace of God, since it was given through Christ, as Scripture says: “For the law was given by Moses, but grace and truth came through Jesus Christ” (John 1:17). But we also have our part to play! First, there is the following of God’s will, that is, the commandments. Christ himself tells us: “He who has My commandments and keeps them, it is he who loves Me. And he who loves Me will be loved by My Father, and I will love him and manifest Myself to him” (John 14: 21). Second, through the communion of the holy mysteries of the body and blood of Christ, through which Christ the Lord abides. “He who eats My flesh and drinks My blood abides in Me, and I in him” (John 6:56); and “unless you eat the flesh of the Son of Man and drink His blood, you have no life in you” (John 6: 53). And third, through persevering prayer, as the Apostle Paul teaches: “But you, beloved, building yourselves up on your most holy faith praying in the Holy Spirit, keep yourselves in the love of God, looking for the mercy of our Lord Jesus Christ unto eternal life” (Jude: 20-21). How does the Orthodox Church understand “salvation”? Eastern Orthodox theologians contend that Western Christian doctrines of sin and salvation have been overly dominated by legal, juridical and forensic language and categories. By this they mean the West’s almost exclusive use of terms of divine law and justice to describe salvation; ideas that are perhaps taken from the context of Roman civil law. While we affirm the use of legal metaphors by Saint Paul, the eastern church fathers contend legal concepts should not dominate (as they have in the West), but should be balanced among the many other biblical metaphors used to describe the redemptive work of Christ. An example of how far removed the Christian East and West are in this area is the fact that the doctrine of justification by faith (how guilty people can stand before a just God or Judge), which is so prevalent in the West, is almost entirely absent in the East! Eastern theology does not focus so much on guilt, as on mortality (i.e. death!) as the main problem of humanity. We tend to see the work of Christ more in therapeutic, healing, renewal, or rescue terms than on exclusively or primarily juridical, legal, forensic terms. Psalm 82:6 says, “I say, ‘You are gods’; you are all sons of the Most High’.” 2 Peter 1:4: “Through these he has given us his very great and precious promises, so that through them you may participate in the divine nature and escape the corruption in the world caused by evil desires.” Saint Cyril of Alexandria commenting on this passage tells us that we are all called to participate in divinity, not just a few “saints”. Although Christ alone is God by nature, all people are called to become God – like, “to participate in the divine nature” (without of course becoming what God is by nature!). To “participate in the divine nature” is how Orthodox Christians understand the full meaning of salvation. Salvation is more than simply saying a “sinner’s prayer”, or belief in or adherence to a set of doctrinal or moral premises. A person becomes the perfect image of God by discovering his or her likeness to God, which is the perfection of the nature common to all human beings. As Metropolitan Kallistos Ware writes, salvation is understood as direct union with the living God, the total transformation of the human person by divine grace and glory – what the Greek fathers termed “deification” or “divinization”. Orthodox Holy Tradition, Orthodox theology and the Holy Scriptures are intertwined. They all speak of the same Orthodox Christian life and faith. They come from the same apostolic and patristic sources of the early Church. Frankly, it is barely possible to fully understand the Bible without understanding the historic, ecclesiastic, liturgical and theological context of the early Church. For example it was on the basis of a common knowledge of “authentic” Church Tradition that the church fathers of the pre-Reformation Church were able to agree on the content that became the New Testament biblical canon we have today. The canon was compiled from myriad ancient text sources, many of which were spurious or even heretical. As we affirm, the Bible was given to the historic Church. Orthodox “Tradition”– equal to or above the Bible? The Orthodox Church sees the Bible as inspired by God and authoritative. However, Saint Paul in Thessalonians (2:15) wrote, “Therefore brethren, stand fast and hold the traditions which you were taught, whether by word or our epistle.” A Bible-Only (“Sola Scriptura”) criterion is therefore in conflict with the Scriptures! 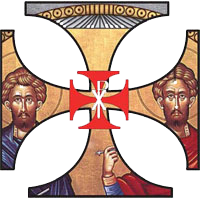 Orthodox Christianity sees the Christian faith in light of the whole tradition, that is, in terms that encompass the entire tradition of understanding of the faith (oral and written) from Apostolic times. This was called “The Rule of Faith”. Western Christianity (especially Protestant) often understands Christian faith through its interpretation of certain parts and interpretations of the Bible, retrospectively. The Orthodox Church affirms that authentic Apostolic Tradition comes from the Holy Spirit in the Church. This is the same Spirit who inspired the Bible and the teaching of the Apostles, whether oral or written. There are five basic sources that comprise “Orthodox Tradition”, passed down from one generation to the next, from Christ to the Apostles, in written and unwritten forms. The first is Holy Scripture, both Old and New Testaments. The second source is the Liturgy, which includes the entire body of the Church’s common and public worship (including the sacraments of the Church). The third are the councils of the Church, the first one recounted in the Book of Acts (Acts 15), and their subsequent creeds and canons. 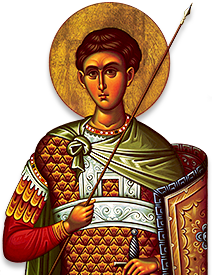 The fourth are the Saints of the Church, especially the writings of a particular group of saints called the “church fathers”. The fifth source of Church Tradition is Church art. Saint John of Damascus said that words written in books are “images”, as are material images like icons. Art is the use of the material to express the intangible and the revelation of God. How ancient are the Orthodox liturgical services? 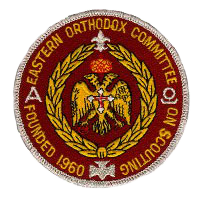 Eastern Orthodox services trace their beginnings back to the Old Testament liturgical rites and services of the Hebrews. They are a treasury of Scripture readings, prayers, hymns, and canons composed by the Saints and pious Christians throughout the ages. Like our Jewish predecessors, Orthodox services are liturgical, sacramental, and ceremonial. Many of the hymns you hear come from the Psalms. Most of them are sung or chanted, as has been the tradition since the days of Jewish – Christian practice. Some of the ancient document sources of the Orthodox liturgical order of service go back to the second (Justin Martyr, c. A.D. 150) and third centuries (Hippolytus, c. 215 A.D.). Eastern liturgies went through development in the fourth and fifth centuries. They became stabilized in the sixth century, and by the eight century were so fixed that they have not changed even today. What is the content of Orthodox liturgical worship? One of the striking characteristics of Orthodox worship is its near total integration with its theology. It is this blending of theology and worship that gives Orthodoxy its thoroughly liturgical character. From the Orthodox Christian perspective, Western Christianity exhibits a breach or rupture between theology and liturgical experience. In Orthodox Christianity they are a single, inseparable act. Participate in the liturgical cycle of the Orthodox Church and you will hear and see its theology, through its text, chant, hymnography and iconography. Why does Orthodox music often sound “sorrowful”? Orthodox music is dynamic and its style varies, depending on the liturgical cycle, the liturgical calendar and the text being sung or chanted. It also varies according to the culture from which it developed! Some music is written to lead us to repentance and is therefore somber. Other music is celebratory and joyful. Orthodox music expresses the Orthodox “ethos”, which has been described as “joyful sorrow”. Like The Psalms from which much of our musical text derives, there is a full range of human emotion expressed in Orthodox liturgical music. Why is there so much emphasis on repentance in the Orthodox Church? Some of the first words that Jesus spoke are recorded to be, “Repent, and believe in the gospel.” (Mark: 1:15). Many Christians today seem to focus exclusively on “believe”, without remembering that Our Lord says first we must “repent”! Just as His command to “believe” is not understood by Orthodox Christians to be a one-time act, in the same way Orthodox Christians understand repentance to be a continuing command as well. The Orthodox attitude towards spirituality, its very “ethos”, reflects the attitude of the tax – collector, the sinner, as extolled by Christ Himself (Luke 18:10-14). You will hear a lot of “Lord Have Mercy”, in Orthodox services! You will see candles burning before the icons and on the altar, signifying the light of truth given by the Lord, illuminating the world with spiritual radiance. Candles also represent the non-created light of the Holy Trinity, for the Lord dwells in an unapproachable light. They also represent the fire of Divinity which destroys our ungodliness and sins. Candles also symbolize our soul’s burning love of God and the spiritual joy and triumph of the Church. The candles before the icon of Christ signify that He is the True Light which lights every man that comes into the world. What is the reason for the use of incense in the services? The incense spreading in the church symbolizes the prayer of the faithful sent up to God and at the same time it is a symbol of the Grace of the Holy Spirit mysteriously embracing them.Before every censing a priest reads a secret (quiet) prayer: “We offer onto Thee, 0 Christ our God, this incense for an odor of spiritual sweetness which do Thou accept upon Thy most heavenly altar, sending down upon us in return the Grace of Thy Holy Spirit.” Listening to this prayer we understand that the smoke visible to everybody denotes the invisible presence of the Lord’s Grace, which is sanctifying the faithful. Wall icons and artwork appeared in Jewish temples early in ancient history (note: Duros Europos Temple destroyed in the mid 200′s) even before their use in Christian churches. Because the Son of God took on human flesh and became incarnate as man in Jesus Christ, the Church decreed (not without much debate!) it was appropriate to portray the glory of God incarnate visually through icons. Icons are NOT idols or graven images (which depicted images of false gods), and their place in Christian worship and piety was clearly articulated, defended and approved at the Seventh Ecumenical Council of the Church in the 8TH Century. Byzantine icon style may seem austere and strange at first. They are not meant to depict the natural beauty of the material world, but rather the spiritual beauty of the Kingdom of Heaven and its inhabitants (Saints). Icons are venerated, but not worshiped, by Orthodox Christians. This is a misunderstanding by some in modern Christendom, especially those who have been influenced by Puritan and Anabaptist traditions, and the Islamic tradition, which rejects any and all images. Do Orthodox worship Mary the Mother of God (Theotokos) and the saints? In our services and in our piety we praise those who were with Christ on earth and whom we know to be “alive” in Christ’s presence now although departed from the body (the saints)! Hebrews 12:1 writes, “…we are surrounded by so great a cloud of witnesses…” In God and His Church there is no division between the living and the departed. As we pray for one another and ask for one another’s prayers, so we ask the faithful departed to pray for us and we continue to pray for them out of love. After the Holy Trinity, we especially venerate the Mother of God (Theotokos in Greek), the Blessed Virgin Mary. This praise has a biblical basis (Luke 1: 28; 42-43; 48) and is due her because of her unique role as the “birth-giver” of God. By giving honor to the Mother of God we honor the Son whom she bore. We never forget that Our Lord was truly incarnate, that He truly had a human Mother, and a real family history! We reject any notion that Our Lord simply passed through Mary as water through a pipe, to be discarded after being used! Mary the birth-giver of God was specifically chosen by God before all time to bring forth, nurture and raise the Son of God! She was the first follower of Christ! She is our model of faith! She is with Him now in the heavens! Having said this Orthodox Christians do not blur the line between God and the Mother of God, and worship is offered only to the Holy Trinity through Christ. Why do Orthodox kiss the right hand of the priest? This is done out of reverence and respect for the Holy Eucharist, not for the man. Saint John Chrysostom (one of Christianity’s greatest church fathers) wrote if one were to meet an Orthodox Priest walking along with an Angel, he should greet the Priest first and kiss his hand, since that hand has touched the Body and Blood of the Lord. Why do you call the priest “Father” when the Bible says not to call any man “father”? Orthodox understand the “call no man father” passage (Matthew 23:9) specifically in the context of our Lord contending with certain rabbis of His day who were using these honorific titles to accomplish their own selfish, prideful and hypocritical ends. Had these same apostate rabbis been using other titles, like “reverend” and “pastor,” Jesus might as easily have said, “Call no man reverend or pastor.” His condemnation was not of the use of “father” (or any specific title) but of the hypocrisy and pride of the Pharisees and rabbis in their use of it. St. Paul wrote in 1 Corinthians 4:15. “For though you might have ten thousand instructors in Christ, yet you do not have many fathers…” St. Paul seems to claim to be the ‘Spiritual Father’ of the Corinthians! St. Paul, an Apostle of Christ Jesus obviously did not interpret our Lord’s words to mean that only our Heavenly Father can be called “father”. In Luke 16:24 Jesus tells us that the rich man cries out “Father Abraham, have mercy on me…” Abraham did not correct or criticize the rich man by saying, “call no man father”! Are we saying that the Apostle ignored Jesus? Are we saying our Lord Jesus Christ contradicted Himself and violated his own statements? We think not! Rather the passage must be understood in its specific context of condemning hypocrisy, self-aggrandizement and pride, rather than a universal condemnation of the use of “father”. Unlike Catholic priests, Orthodox priests can also have a wife and children if they are married before they’re ordained. Is Orthodox Christianity ‘faith’- based or ‘works’- based? The faith-works divide, especially in the Protestant West, reflects a decisive (and Orthodox believe regretful) innovation in Christian theology beginning in the 16th century. It was largely a reaction against the use of “indulgences” by the Roman Catholic Church and their proper rejection by Martin Luther and the Reformers. The Orthodox Church believes the Reformers’ theology went too far however, by driving a wedge between faith and works. The faith-works dichotomy does not exist biblically, or in the eastern Christian spiritual tradition. We are clearly called to “Have faith in God” (Mark 11:22). But we are also exhorted to “work out your own salvation with fear and trembling (Phil. 2:12)”. And we are reminded that “…faith by itself, if it does not have works, is dead” (James 2:17). Perhaps the most sobering warning comes from Saint Paul who warns us of “the righteous judgment of God, who ‘will render to each one according to his deeds’” (Rom. 2: 5-6). Orthodox theology and spirituality therefore emphasize a balance between faith and works. What comes first – faith or works? Since “…without faith it is impossible to please Him” (Heb. 11:6), a Christian who wants to please God and be assured his works will be accepted by God, must first have faith in God and then form his life and activity accordingly. It is on the basis of our faith and our works that we will be judged! What must the Christian do to gain eternal life? Have right belief (“ortho-doxy”) and good works! Whoever has these two has certain hope of eternal salvation. As Scripture says: “You see then that a man is justified by works, and not by faith alone.” (James 2:24) A little later in the same place: “For as the body without the spirit is dead, so faith without works is dead” (James 2:26). Elsewhere St. Paul says the same thing: “…having faith and a good conscience, which some have rejected, concerning the faith have suffered shipwreck” (1 Tim. 1: 19). What are the Holy Mysteries? The early Church called the Sacraments of the Church, Holy Mysteries. Mystery is the reality through which the invisible grace of God is effected in or conferred upon the souls of the faithful under a perceptible form (sanctified matter). It was established by Christ as the means through which the faithful appropriate the grace of God. What is the purpose of the Holy Mysteries? To provide remedies for removing our sins. How many Mysteries or Sacraments does the Orthodox Church recognize? Seven: Baptism. Anointing with Chrism. The Holy Eucharist. Ordination. Penance-confession. Holy Matrimony. Healing consecration with oil. When the young Church was getting underway, God poured out His Holy Spirit on the Apostles and their followers, giving them spiritual gifts to build up the Church and to serve each other. Among the specific gifts of the Spirit mentioned in the New Testament are apostleship, prophecy, evangelism, pastoring, teaching, healing, helps, administrations, knowledge, wisdom, tongues, and interpretation of tongues. These and other spiritual gifts are recognized in the Orthodox Church. The need for them varies with the times. 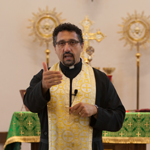 The gifts of the Spirit are most evident in the liturgical and sacramental life of the Church. What is the view of the Orthodox Church towards non-Orthodox Christians? Saint Irenaeus said where the Spirit of God is, there is the Church. We believe there is only one earthly Church (“I believe in one, holy, catholic and apostolic church” – the Nicene Creed). We know where the visible Church is, but we cannot know for assurance where the Spirit of God may or may not be outside ‘the one, holy, catholic and apostolic church’! Orthodox Christians must not therefore presume to pass judgment on non-Orthodox Christians or their communities, think or speak triumphalisticaly about the Orthodox Church, but rather strive to live out their faith without compromise, in humility and repentance. What does Orthodoxy teach about “free will”? Free will is man’s unrestricted ability to decide from reason, which leads to doing good and evil. This reason was complete in its perfection during the state of man’s innocence (before the Fall), but became damaged on account of sin. However, although the will remained inclined to evil (after the Fall) it is still nevertheless able to choose to do good. St. Basil the Great: “From one’s intention and free will anyone can be holy or the opposite.” And in the Gospel of St John: “But as many as received Him, to them He gave the right to become children of God…” (John 1:12). If this were not the case (use of free will) it would not be possible for St Paul to write of “the righteous judgment of God, who ‘will render to each one according to his deeds.’” (Rom. 2: 5-6). How could we be judged by God by according to our deeds if our will is incapable of choosing between good and evil? Does the Orthodox Church teach a “pre-tribulation rapture”? Orthodox Christianity and the early Church teaches that the Lord will come once and for all after the tribulation (Matthew 24: 29 – 31). The Nicene Creed states that Jesus Christ, ‘will come again with glory to judge the living and the dead, whose kingdom shall have no end’. On that day everyone will receive eternal and perfect payment for their deeds. There is no-pre-tribulation “rapture”, nor is there a one thousand year reign taught in the Holy Scriptures, or by any church father east or west. In fact, the 5th Ecumenical Council of the Universal Church specifically rejected the idea of a “thousand year reign” as a heresy! These heterodox teachings supposedly came through a dream someone had in the 18TH century and were subsequently promulgated by the Scofield Bible translators and adopted by certain Protestant Evangelical groups later. Do Orthodox teach an intermediate purgatory? No Scripture makes mention of a temporal punishment that cleanses souls after death. In fact, the opinion of Origen was condemned because of this by the Church at the Second Council of Constantinople. The soul can receive no sacraments after death; and if it were to make satisfaction for its sins, it would have to perform a part of the sacrament of holy Penance, which would be contrary to the orthodox teaching. 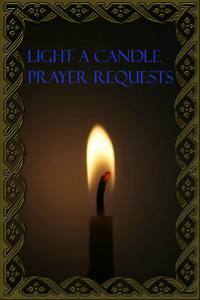 Why do Orthodox Christians pray for the departed? Out of love for them! Orthodox believe from the teaching of Sacred Scripture that we are obliged to pray to God for the departed, to offer the Holy Eucharist for them in remembrance and to give alms in their behalf, since they cannot do this for themselves. We leave the results – or even whether there is efficacy in prayer for the departed, since we cannot know for certain – up to God and His mercy. Why would the Orthodox Church appeal to Americans? The Orthodox Church is the original and historical church established by Jesus and His Apostles. Many Americans are looking for a living continuity with the Church of ancient times. An ever-increasing number are looking for a stable faith rooted in apostolic tradition, apostolic succession, and the Bible. In fact this Church, which Jesus Christ Himself said would “prevail against the gates of Hades”, has in truth continued in unbroken succession, through the transmission of her faith and the succession of her bishops, from the day of Pentecost to the present (see the Time-Line of Church history). The Orthodox Church has survived steadfastly despite persecution and martyrdom and has never accepted any kind of change or innovation which contradicts earlier established doctrine, reached in consensus with the universal Church and led by the Holy Spirit. Her doctrines were clarified (and consequently, certain heresies were defined) at seven ecumenical councils held between the 4th and the 8th centuries. 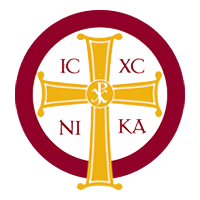 If you are looking for the “one, holy, catholic and apostolic church” of the Nicene-Constantinopolitan Creed, you found her! It is the Orthodox Church!